Presented without much of a comment from me, for his work (art?) speaks for itself. Or something. All horrors of color/pattern aside, the cut/fit and high collar don’t help at all. He looks neck-less, like a head balanced on a barrel. Perhaps he’s holding a color-blind tailor hostage…? 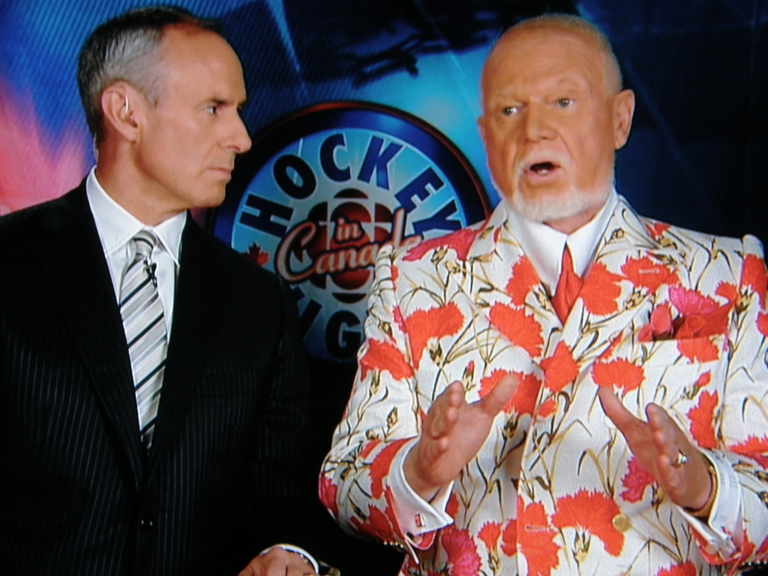 My brain still refuses to accept that Don Cherry is a real name. I find myself forced to read it as mob title + weird nickname. That may not be any better, but at least it’s entertaining. Where is he *getting* this stuff? I can’t believe it’s off the rack, and there could be dozens of other people walking around in it…but who would custom-make that? I’m not sure this measures up to the flamingo one, though. That’s my new standard for awful.